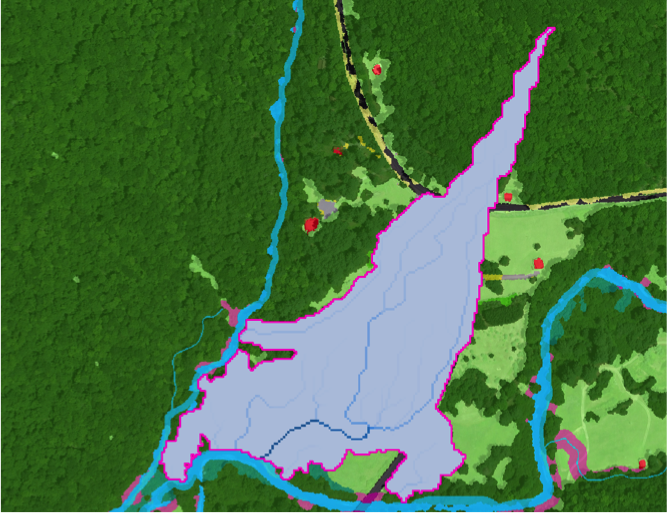 To pilot a new innovative approach to conservation, the partners propose to collaborate and harness newly available high-resolution GIS datasets and tools to conduct precision conservation and better focus restoration efforts and BMP implementation on the ground. This project has the potential to demonstrate improved efficiency, effectiveness, and returns on investment through better site selection prioritization and support technology transfer to broaden adoption across multiple regions. This is a three-year project. 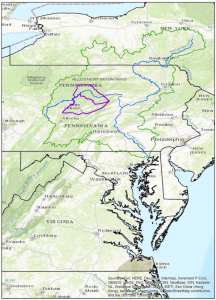 The long-term outcome will be a technically-sound framework to target BMP siting on agricultural lands that leads to more cost-effective and efficient restoration work in the Susquehanna River watershed. Chesapeake Conservancy, Susquehanna University, Bloomsburg University, the Chesapeake Bay Foundation, and the Pennsylvania Department of Conservation and Natural Resources. 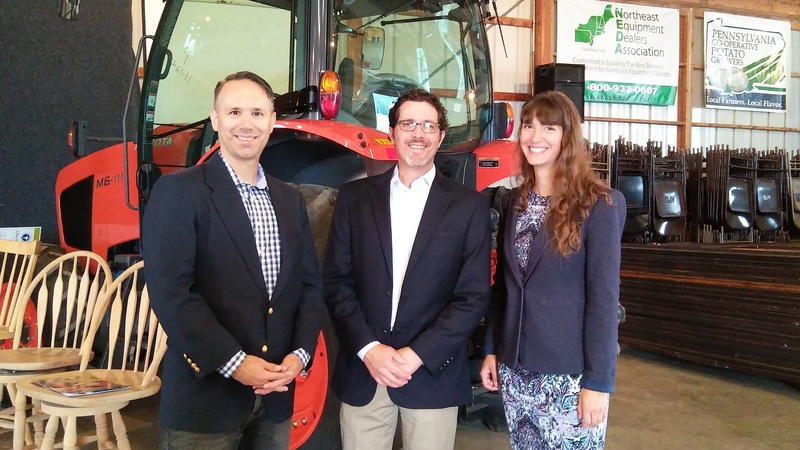 Partners for the project at Penn State Univ’s Larson Ag Research Ctr. 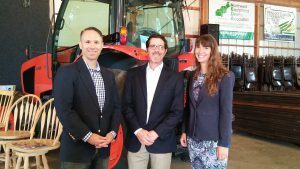 For the NFW grant announcement (from the left): Harry Campbell, Chesapeake Bay Foundation, Matt Keefer, Pennsylvania Department of Conservation and Natural Resources, and Carly Dean, Chesapeake Conservancy. Other partners not pictured: Susquehanna University and Bloomsburg University. National Fish and Wildlife Foundation, United States Environmental Protection Agency, Chesapeake Bay Program. The focal geography for this project in year 1 will be Clinton and Centre Counties in Pennsylvania. 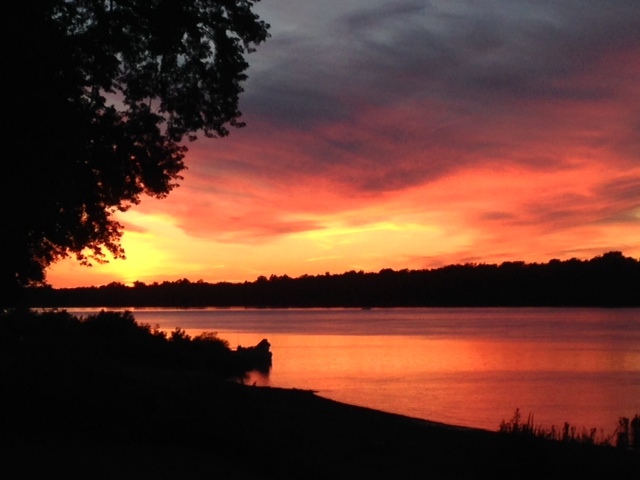 Once the methodology is established and customized support tools are created, the partners plan to export this process to other regions within the Susquehanna River watershed within years 2 and 3. If you are interested in participating in this project and work within the Susquehanna River watershed, please contact Carly Dean, project manager at the Chesapeake Conservancy at cdean@chesapeakeconservancy.org or 443-261-2369. This project proposes to coordinate the organizational strengths of multiple partners to demonstrate the capabilities of the new tools and high-resolution data, target implementation of agricultural BMPs where models suggest they can make the greatest pollution reduction impact. 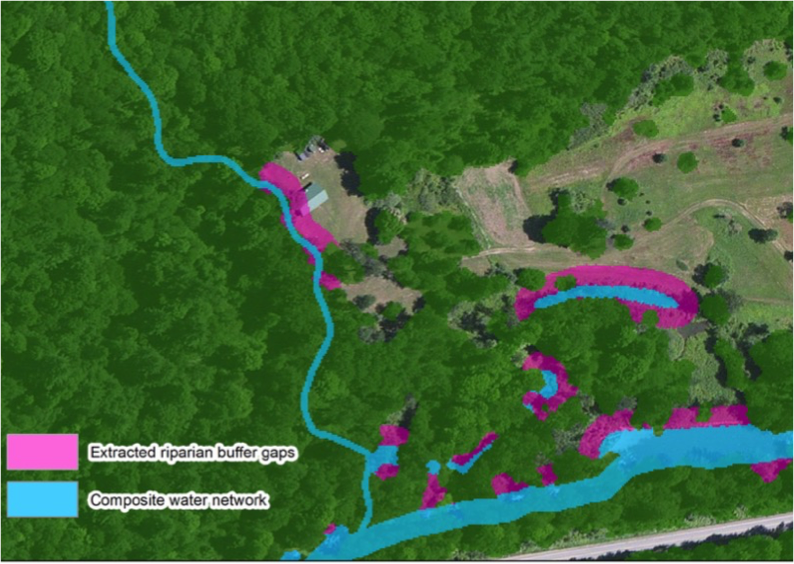 The partners will combine newly created high resolution land cover data and new enhanced flow path datasets to identify conservation opportunity areas for the Susquehanna River Watershed. The partners will work closely with local communities to design tools to help communities prioritize targeted conservation for maximum impact that require no GIS skills to use. Pennsylvania: York County Stormwater Consortium BMP Reporting Tool (due to restrictions in tool usage, the link connects you to a demonstration of a key feature that is helpful for siting projects). More information can be found here. 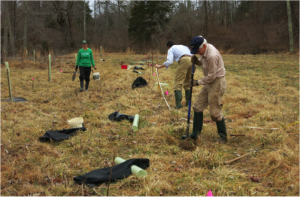 Project partners aim to implement riparian buffer restoration projects on agricultural land at 5-8 pilot sites within the Susquehanna River watershed in high value geographies. 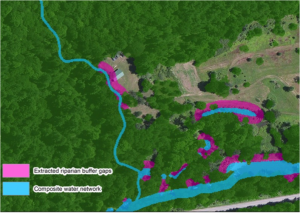 Researchers and students from Susquehanna University and Bloomsburg University will assess benefits to local stream health with pre- and post- construction chemical and biological monitoring in five pilot sites. Documentation: Proposed monitoring methodology for Implementing Precision Conservation in the Susquehanna River Watershed project. 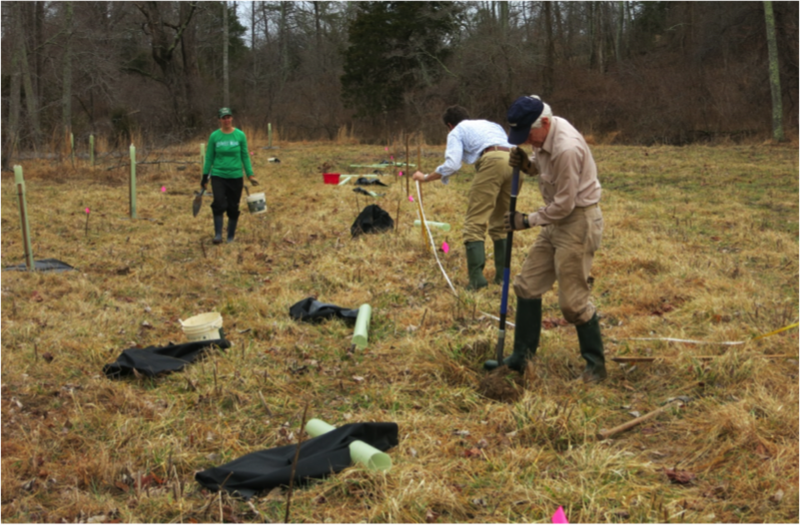 The Chesapeake Conservancy and Susquehanna University have hired a new technical coordinator, based at Susquehanna University, who will work with restoration professionals to identify priority landscapes for focused analysis and implementation. The position will serve as a liaison between Susquehanna University, Bloomsburg University, other academic partners, and the Chesapeake Conservancy. Duties will involve facilitating student engagement (which may include coordinating internships, student projects, and student volunteer work) and working with faculty on project monitoring, and integrating watershed issues into teaching and research. For more information please contact Carly Dean, project manager at the Chesapeake Conservancy at cdean@chesapeakeconservancy.org or 443-261-2369.